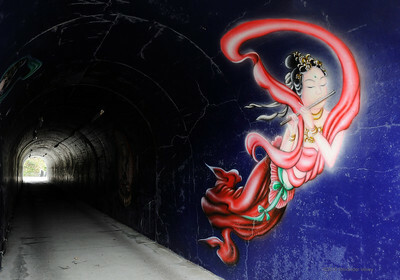 This tunnel is in the precincts of Manpukuji 満福寺, in the Koshigoe 腰越 section of western Kamakura. 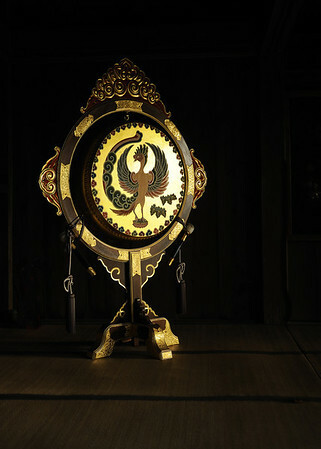 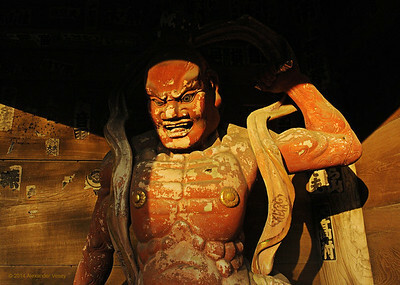 Other images depict various bodhisattavas, but this one had the best natural light. 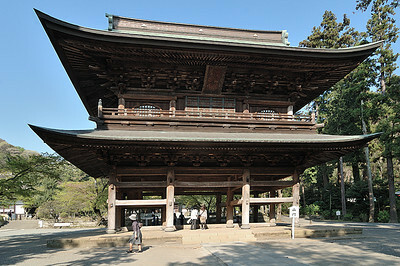 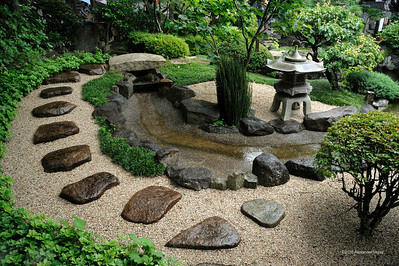 The Shariden, Engakuji. 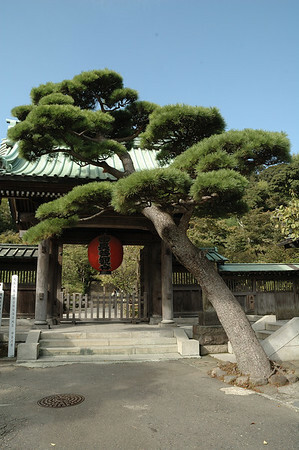 In the early 1980s, visitors could easily approach this national treasure, but the grounds now house the training monastery, and are thus off limits to tourists. 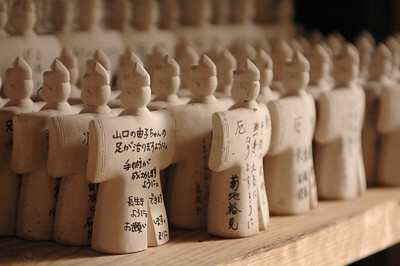 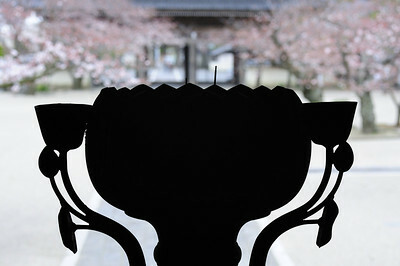 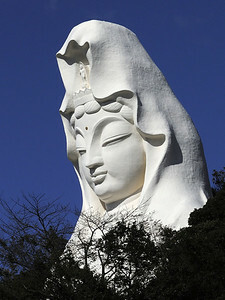 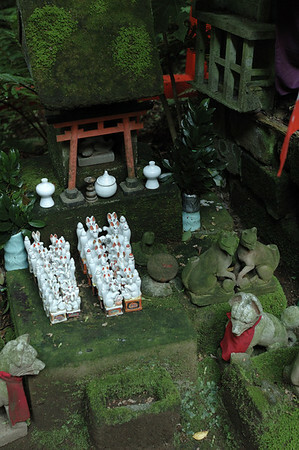 Sugimotodera, in eastern Kamakura, is the first temple of the Banto Pilgrimage Route dedicated to the bodhisattva Kannon. 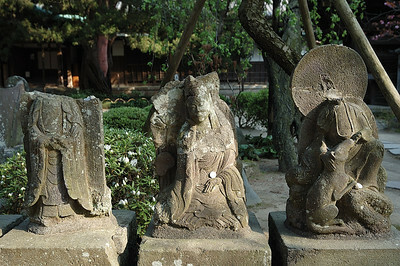 The gate and the main hall contain numerous plaques, statues, and other expressions of popular faith in Buddhist deities. 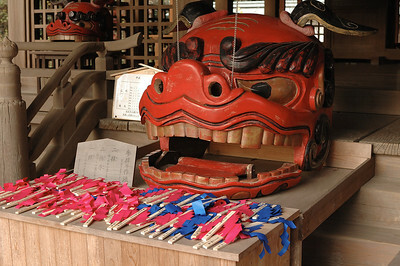 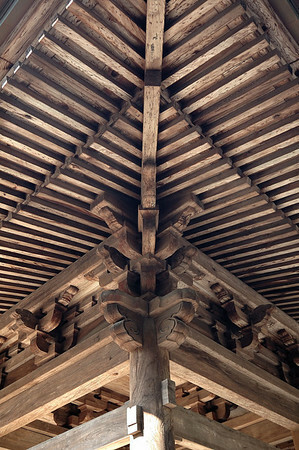 The hall is covered in soot from years of goma fire rituals, and thus the temple has a very different feel from more polished sites like Hasedera. 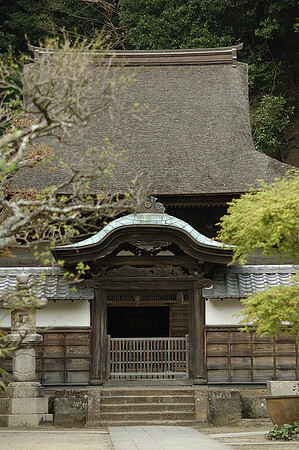 Sugimotodera, Kamakura. 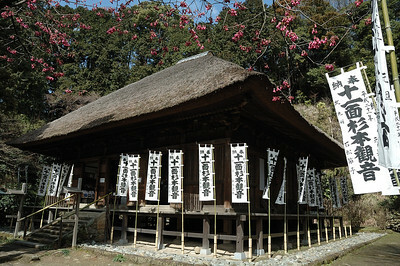 The first site of the Bando Kannon pilgrimage route, this is supposed to be the oldest temple n Kamakura. 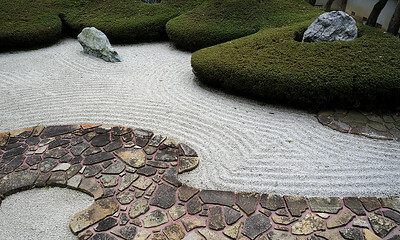 Sand garden at Komyoji, Kamakura.